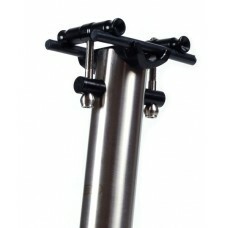 Another titanium seat post that integrates perfectly nto any titanium frame. 0 mm set back. Aluminium parts are Ergal 7075 T6 while the screws are stainless stell. Available in 31.6 mm and 27.2 mm.